The lone surviving gunman captured during last year’s terrorist assault on Mumbai confessed his involvement in the attacks in court Monday. Mohammed Ajmal Kasab is one of 10 Pakistani nationals who police said unleashed terror on India’s financial capital for four days and three nights in November. Other gunmen were killed during the attacks. “The plea of guilt has not been completely recorded in court,” Special Public Prosecutor Ujjwal Nikam told reporters. “We will now determine whether he is telling the truth. 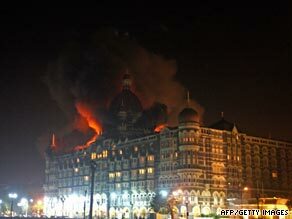 Is there more he has to say Is he trying to shift the blame to the attackers who died We will analyze his statement fully.” Police said the gunmen killed more than 160 people, including many foreigners, as they laid siege on buildings such as the Taj Mahal Palace and Tower and Oberoi-Trident hotels, Mumbai’s historic Victoria Terminus train station and the Jewish cultural center, Chabad House.